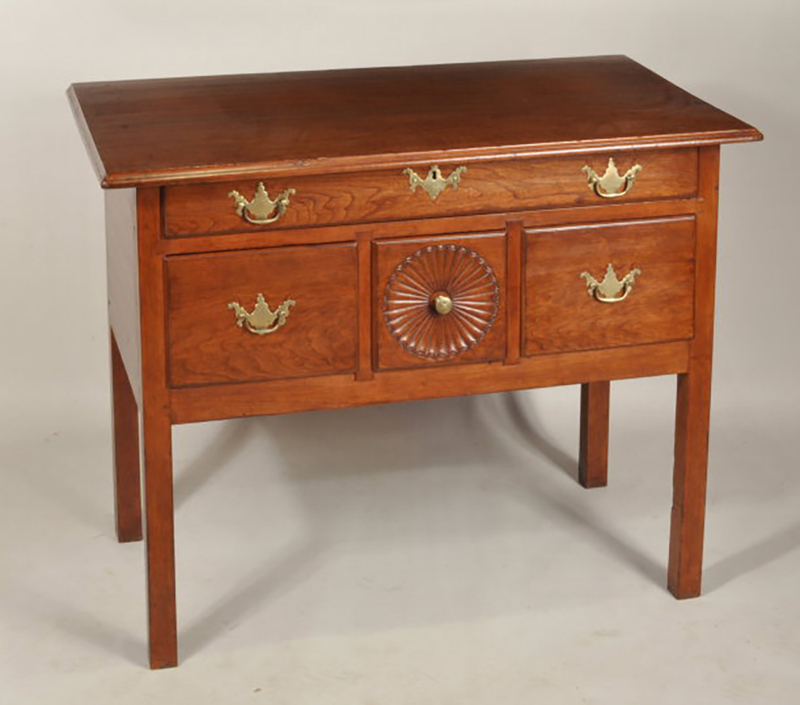 Thomas Schwenke, Inc. 50 Main St. North Woodbury, CT 06878 fedfurn@schwenke.com www.schwenke.com Chippendale Cherry Lowboy or Server Very rare fan carved chippendale cherry lowboy or server, with rectangular molded top above one long drawer and three lower box drawers, the central drawer with a full round carved fan, the whole raised on square legs. Connecticut, circa 1775-85. 37 3/4" wide top, 33 3/4" wide case, 21 3/4" deep top, 18 1/4" deep case, 29 1/4" high.